Rushed round to get my Saturday chores done early then into Liverpool city centre for the second day of the Sea Odyssey. 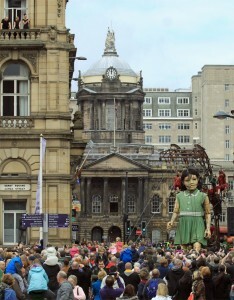 Picked up the Little Girl Giant and her dog as they went along the Strand. Decided to cut across the city centre to further up the route and got a good spot to see them really close up. 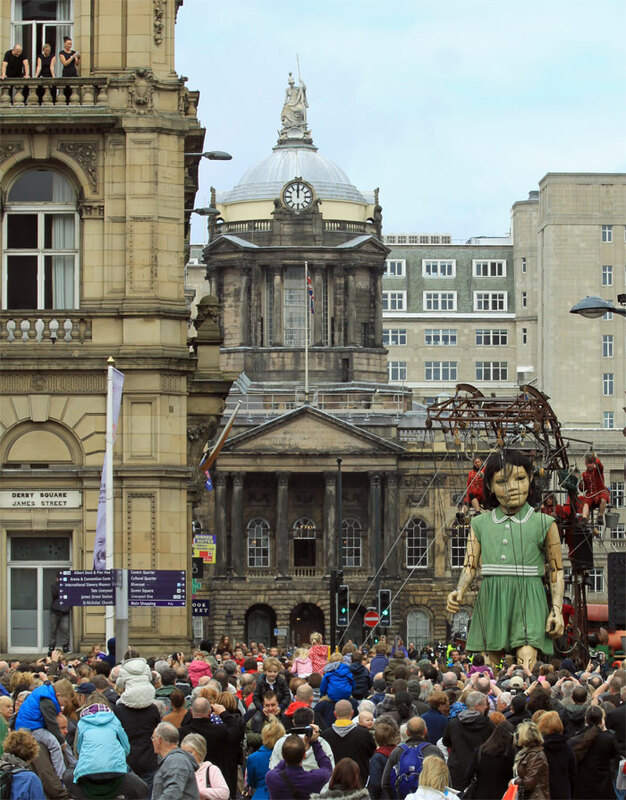 Cut through some of the back streets then along the very crowded route and found a spot up by the Crown Court where a slight rise gave me a bit of a height advantage to see her over the heads of the crowd and the Council House would be in the background. She paused just before the corner and I waited longer than I’ve ever waited to take a picture before (now I have a little bit of an idea of what wildlife photographers waiting for that perfect shot must go through). Patience was rewarded with the picture of her above. Despite best intentions to take less pictures today than yesterday came away with nearly 400 shots. I’ll go through them and pick a few to make a gallery sometime. I’d post one of the dog I really like but it needs some serious photo manipulation to remove the face of someone who looks like they just tasted something sour from the background.